When you're wearing a big white dress and you show up at Jeni's Splendid Ice Creams, you can bet they'll allow you to taste every single flavor in the case. 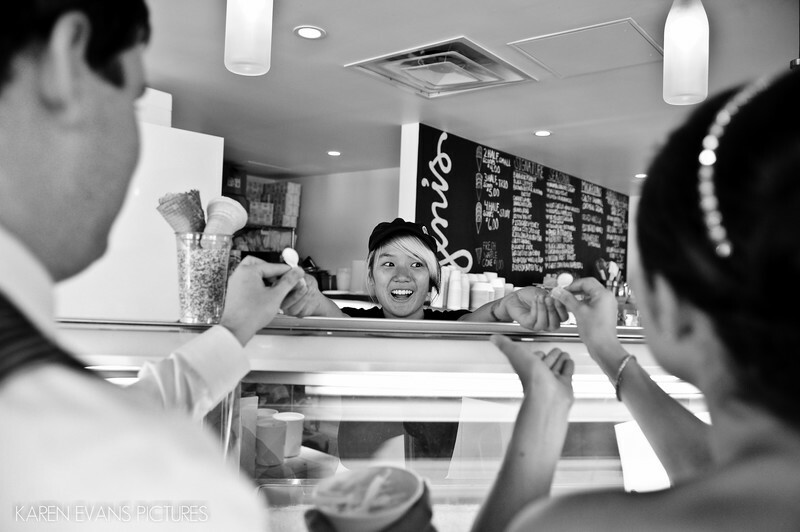 And that's just what happened with Jen and Matt when we strolled through Jeni's after their wedding ceremony. The girl who waited on them loved playing along as they literally tasted every flavor. At the end, Jen collected all the tasting spoons in a cup to save as a memento.Keywords: jeni's (6).